Between 1942 and 1946, the U.S. Navy assigned TD ("Target Drone") designations for remotely-controlled aircraft. The TD-series consisted mainly of target drones, but also included a few assault drones. In March 1946, most existing TD aircraft were redesignated as targets in the new KD category. The TDC, TD2C and TD3C are described under their USAAF designations PQ-8, PQ-14 and PQ-15, respectively. In 1945 the U.S. Navy received two XTD4C-1 radio-controlled aircraft from Culver. 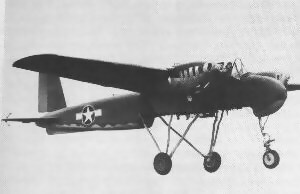 The XTD4C-1 was possibly based on the Culver V-2, and therefore similar to the PQ-15/TD3C. In 1946, the XTD4C-1 was redesignated as XUC-1K, but the two aircraft were probably disposed of shortly thereafter. The TDD is described under its USAAF designations OQ-2/3/14. The TD2D was redesignated in 1946 first as KDD and then as KDH, q.v. The TD3D is described under its USAAF designation OQ-16. The TD4D was redesignated as KDR in 1946, and is described under its USAAF designation OQ-17. 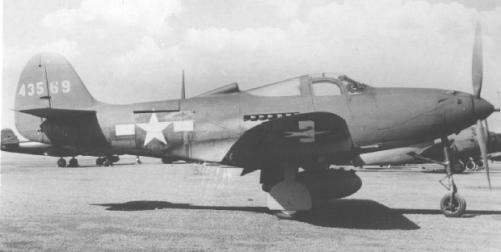 During World War II, the U.S. Navy acquired a single P-39Q from the USAAF and converted it to a radio-controlled target drone with the designation XTDL-1. In 1946, the Navy operated two additional P-39Q drone conversions as the F2L-1K. The latter were possibly also designated as XTDL-1 orginally. In February and March 1942, the U.S. Navy ordered four XTDN-1 prototype and 100 TDN-1 production assault drones from the Naval Aircraft Factory. For a few details on the Navy's assault drone program, refer to the article on the Interstate BQ-4/TDR. The TDN-1 was rather similar to the TDR-1 except for the former's high-wing layout. It was a relatively simple, low-performance twin-engined aircraft with a TV camera, radio-control equipment, and a 900 kg (2000 lb) bomb load. The XTDN-1 used Franklin O-300 engines, but that changed to the Lycoming O-435 on the production aircraft. Information on the testing and operational career of the TDN-1 is lacking, but the drone was almost certainly never used in combat. The USN terminated its TDN/TDR assault drone program in September 1944. The TD2N and TD3N were redesignated in 1946 as KDN and KD2N, respectively, and are both described on the page about the Gorgon program. The TDR, TD2R and TD3R assault drones are all described on the page about the BQ-4/TDR. Height 3.78 m (12 ft 5 in) ? Weight 3430 kg (7570 lb) ? Ceiling 10700 m (35000 ft) ? Range 1045 km (650 miles) ?